Hello Stampers! I can't believe it's October. You know what that means....Halloween! I'm all about cute Halloween cards and decorations. 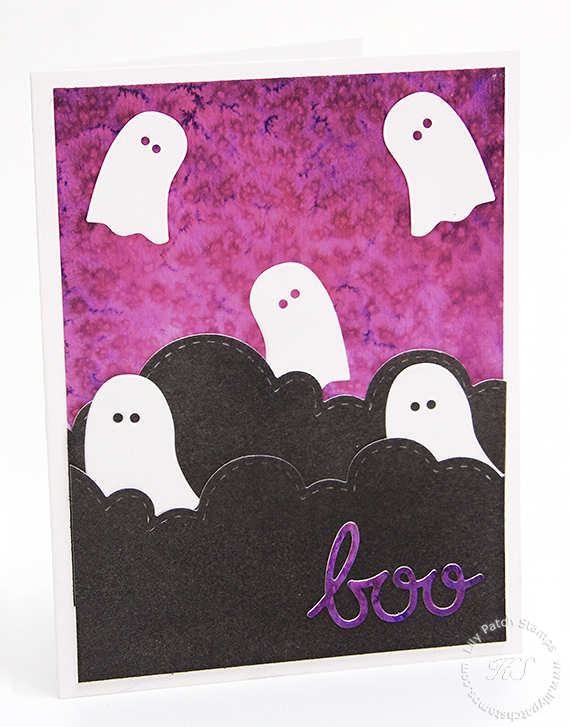 Today I decided to make my Halloween card using A Muse Studio's dies and Tombow Dual Brush markers to create my ghostly Halloween scene. I have created a video tutorial to show you how I did it. I am using watercolor paper for the watercolor background and Bristol white cardstock for the card base. The clouds were sponged with black pigment ink to create a hazy effect. Click on the video for more details. Love this Halloween card... very cute! Thanks for joining us at Crafty Sentiments! Lovely Thank you for sharing with us over here at the World Wide Open Design Team Challenge and best of luck with your entry. Oh super cute Halloween project. Love your Ghosts, they are perfect with the design. Nice work. Stunning background which really makes those ghouls pop. Glad you dropped in at 613 Avenue Create this month. Hi! Lovely to see you at the World Wide Open DT Challenge. Cute card. Love the layering. I'll hope to see you next time as well. Good luck!